The trend towards hosted CRM applications based on SaaS pricing has enabled SMEs to compete with larger enterprises despite minimal resources. However, for those businesses averse to hosting customer data externally there remains a demand for on-premise solutions. 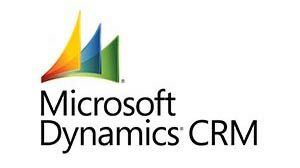 By offering both hosted and on-premise versions, Microsoft Dynamics CRM is arguably one of the most significant CRM offerings on the market. Virtualtone adds an extra dimension by seamlessly integrating telephony with Microsoft Dynamics CRM, delivering advanced call features such as on-screen call control, screen pops, call logging and management reporting for total customer interaction. 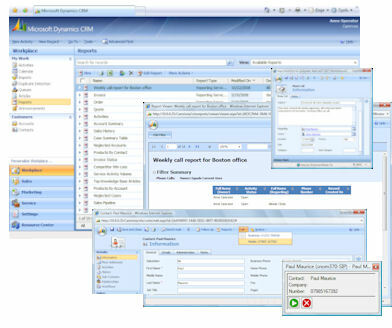 Virtualtone for Microsoft Dynamics CRM complements Virtualtone for Outlook, as it enables businesses to have a mix of users – some using CRM and some using Microsoft Outlook. All users can still have the same CTI solution with their telephony, allowing for a natural upgrade path moving from Microsoft Outlook to Microsoft Dynamics CRM. Learn more about what VirtualTone can do for your business. VirtualTone caters to all businesses from enterprise level call centers to small and mid-sized businesses. Our mission is to provide you with the highest quality communication solutions without pain or discomfort. VirtualTone serves clients in numerous industries, with experience in Insurance, Legal, Government, Construction, Oil & Gas, Hospitality and Manufacturing.